The innovative SkyGate™ Club redefines the tailgating experience by eliminating the hassles and providing a luxury setting. No more placing food orders or dragging coolers across campus. All the fun. None of the hassles. Food, games, private lockers, entertainment for the kids. It’s all here and available exclusively to WestGate owners and guests. The 4,000 square foot rooftop SkyGate™ Club features luxury indoor space with multiple TVs, seating, pool table, private lockers, bar and much more. The SkyGate™ Terrace will set the new tailgating standard for college football. Soak in the views of Bryant-Denny Stadium, Walk of Champions and UA campus while enjoying your favorite beverages and catered meals before and after the game. The 5,000 square foot rooftop terrace includes tents, HD televisions for keeping up with other games and easy access to private lockers and catered meals. This is truly tailgating at a higher level. Eat, Drink, and Roll Tide! Grocery shopping for game day is a thing of the past at WestGate. Every UA home game will be fully catered by the onsite team and available before and after home football games. We take care of the clean up too! Kids will have a blast in the SkyGate Club too! The kids-only Elephant Lounge features state of the art gaming consoles with the latest games to choose from. The private owner lockers in the SkyGate™ Club provide the perfect place to stow your favorite beverages and valuables while enjoying the Club. Every condo comes with its own locker. You can even order your favorite wine or liquor to be delivered to your locker on game day. To be any closer to the action, you'd need a ticket. The Skygate Terrace grant the best views of Bryant-Denny Stadium and the Walk of Champions and helps you celebrate another tide victory in style.  The SkyGate Club is one of many exclusive perks enjoyed by WestGate condominium owners. There is not a better way to celebrate the legacy of the Crimson Tide. Want to join the Club? Contact the ALICE MAXWELL team to find our more about the WestGate Ownership Experience.